LONDON SNAPSHOT. SCHWITTERS IN BRITAIN AT TATE BRITAIN. | Life Looks Perfect. LONDON SNAPSHOT. SCHWITTERS IN BRITAIN AT TATE BRITAIN. 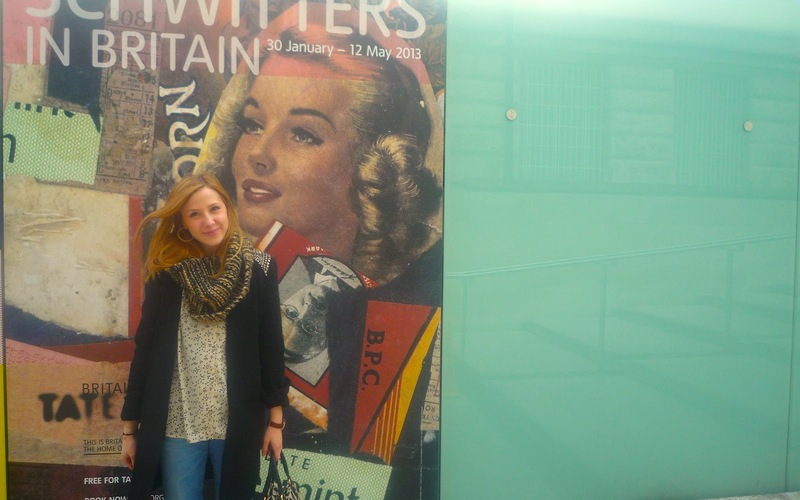 This weekend I would definitely recommend taking a trip to Tate Britain to see the new show Schwitters in Britain. A retrospective of the artist Kurt Schwitters on his work in Britain from 1940 to his death in 1948. The exhibition is filled with over 150 truly stunning collages of all sorts of objects and materials which were both delicate and inspirational to look at in detail. Schwitter's collages really made me want to get back into creating art again. I gave art college a go over 4 years ago now and never managed to complete the course and I miss it. Studying art history fed my love and need for art in my life for a while but now I want to get back into the practical side. Ever since this exhibition, I have been collecting beautiful images and looking out for interesting textures to start up collage again. Thank you Tate for a really exciting and beautiful exhibition! P.S This is just a random added extra to my post but I had to share this little rabbit sent over from Thailand to my dear friend which you plug into your headphones hole! Its soooo cute!